Recently I’ve been getting a lot of emails asking me different questions about things like blogging, makeup and asking for fashion advice, so I thought instead of emailing people back individually, I’d make my answers into blog posts so everyone can benefit! So, without no further preamble I’d like to introduce you all to my newest feature, Dear Rachel! You have such clear skin! What products do you use to get such a flawless finish? I actually keep things really simple with my skincare routine: when it comes to your face I’m a big believer in less is more. 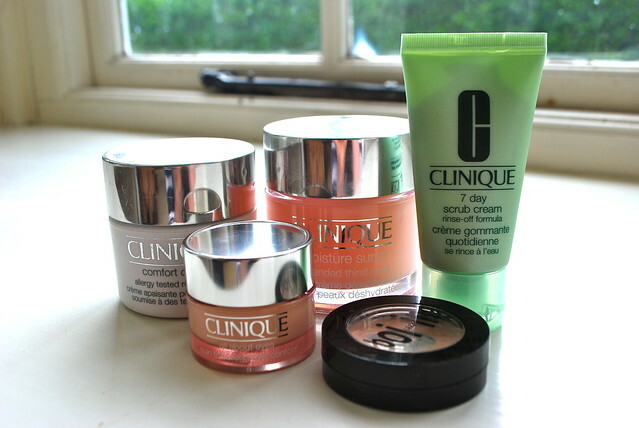 All of my products are by Clinique or Benefit, both brands developed of hyper sensitive skin, it’s important to find something that works well for your skin type. First is my makeup. 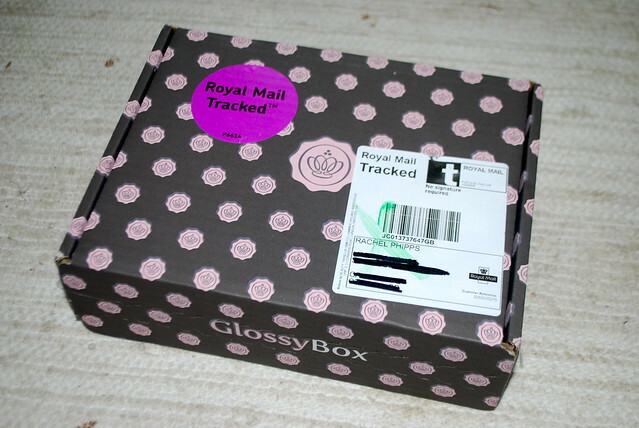 I know a lot of people don’t count it as part of their skincare routine, but I do because, after all, it’s something that you put on your face! I’m lucky that I don’t need to wear foundation, just a bit of cream concealer now and again, but I’d apply the same theory to foundation that I do to my concealer, work to find a product that does not either dry out of break out your skin. 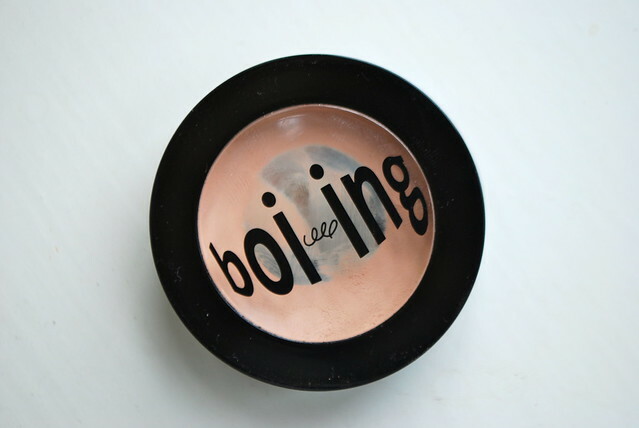 I use Boi-ing by Benefit. This way, your skin is not being affected by the makeup you’re using. I know a lot of my friends with problem skin use Bare Minerals powder foundations so their skin can still breathe without being caked in heavy foundation. Next, what I wash my face with. I only use makeup remover when I’m wearing waterproof makeup, because makeup does have to be removed, but I find regardless of the brand I use it burns my skin. Water is harmless, so usually I just flush my eye makeup off over and over again with water, its usually easier to do this in the shower using a couple of cotton buds to make sure that it is all removed. Then you need to find a good face ash that works for you. 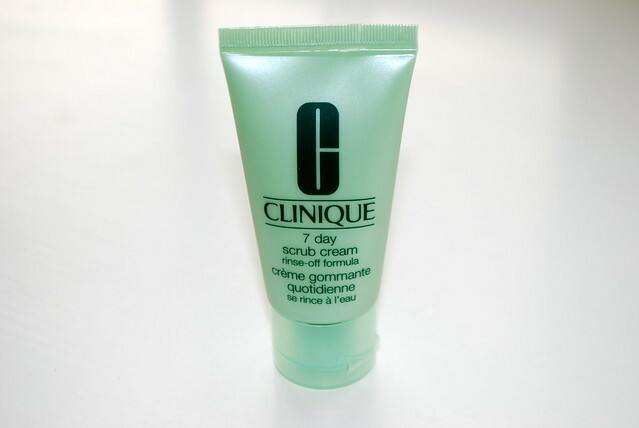 I like a scrub that exfoliates my face so I use Clinique’s 7 Day Scrub Cream which is fantastic, but I’ll soon be switching to Benefit’s Refined Finish Facial Polish because I prefer the size of the exfoliating beads in it, the smell and the fact it gives my skin a brighter finish. Play around with samples of different products and see which one works for you, then use it every day. The final step to my routine is when I step out of the bath or shower I pat my face dry with a soft clean towel and apply my face cream. Since I started using eye cream on a daily basis I’ve found I don’t get dry skin around my eyes anymore. I’d really recommend Clinique’s All About Eyes. 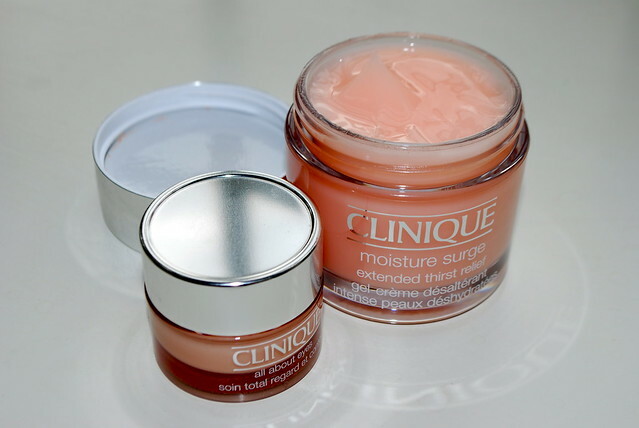 Then, on the rest of my face if I’m going to bed I use a heavier moisturiser, I love Benefit’s Total Moisture Facial Cream, but if I’m going to be putting makeup back on or just seeing people but without any makeup on, I go for the lighter Clinique Moisture Surge. I deal with problem areas of my skin like redness, sores created by bad reactions to products I’ve tried or just general dry skin by using Clinique’s Comfort On Call Allergy Tested Relief Cream. I remember reading about this a few years ago when in first launched in Vogue on the train to London and thinking that it was the perfect product for me, specially formulated for skin that reacts to stress and allergies. 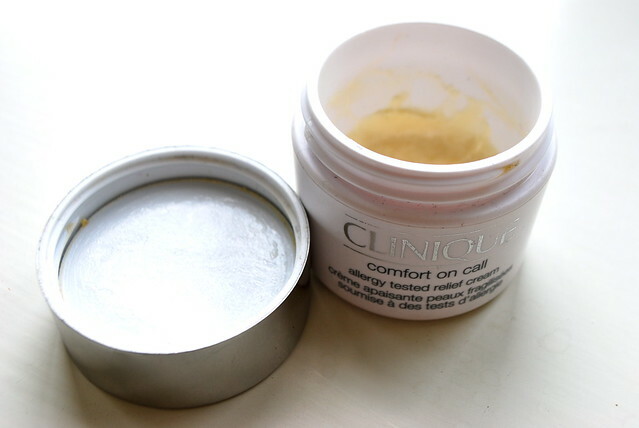 It’s got a hefty price tag, even for Clinique products, weighing in at £35 a pot, but after about 2 years I’m only just coming to the end of my first pot and it works absolute wonders. 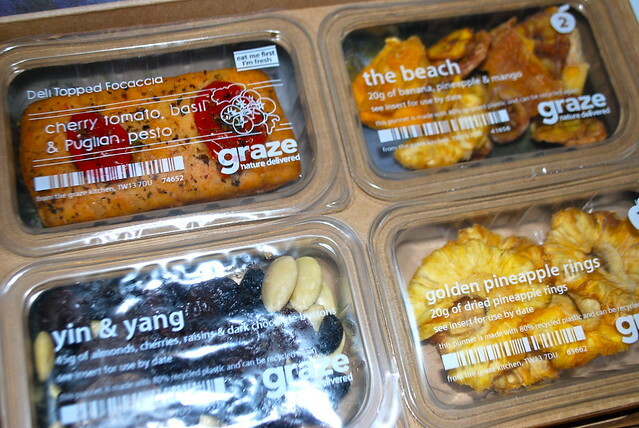 Finally I eat well and drink lots and lots of water – these things do make a difference! I love fresh fruit, so thats usually all I snack on, I avoid fatty, fried and high sugar foods because I don’t really like them, and every evening I flush my system out with about 6 – 8 mugs of water. During the day I mostly drink fruit tea, or homemade iced tea. 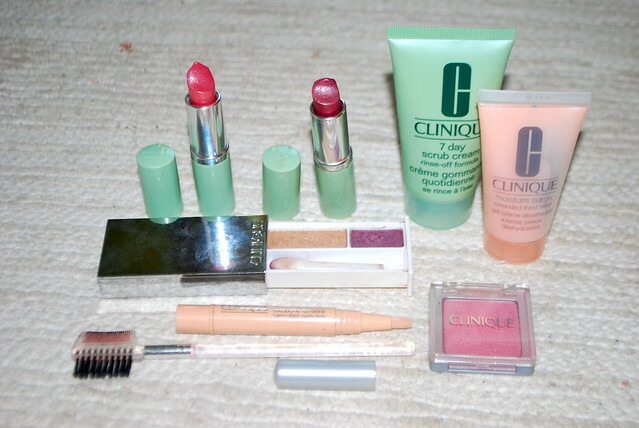 *edit* 7/06/11: A lot of you in your comments have said that you’d love to try Clinique products but their really expensive, but your mothers use them, if she does, you should utilise Clinique Bonus Time to get free samples – I’ve written about it in my How To Save Money On Makeup post! If you have any questions you’d like me to answer, be they on blogging, beauty or books, you can drop me a quick email, contact me on Twitter or leave me a comment on Formspring!